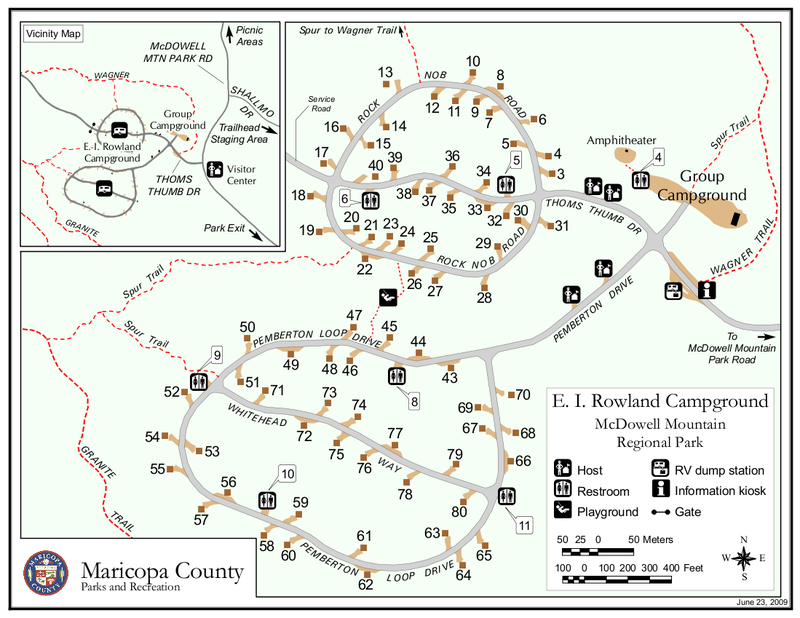 Overview: The Bluff Trail is one of 20 official trails that make up the McDowell Mountain Regional Park. 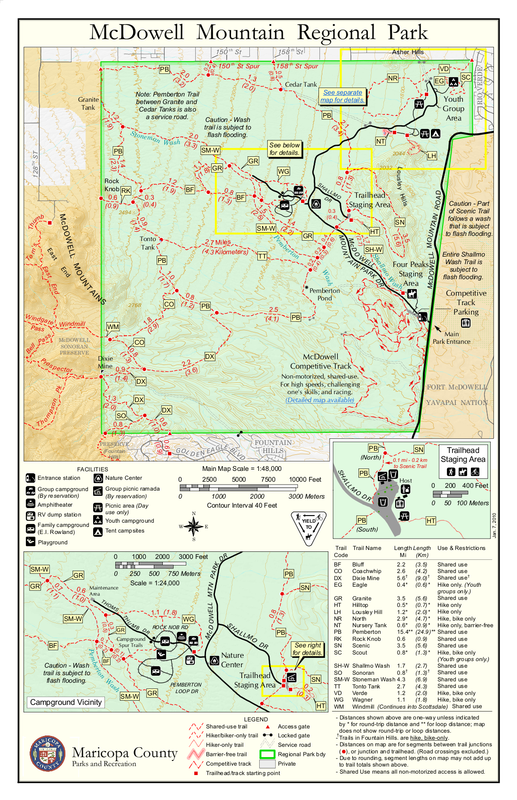 The Park is a little over 21,000 acres and lies between the eastern slopes of the McDowell Mountains and McDowell Mountain Rd to the east. 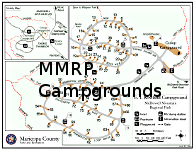 The Park consists of a comparatively small visitor's center, campgrounds, several competitive tracks, and scattered facilities with bathrooms and drinking fountains. Hike: The Bluff Trail is one of THOSE trails that is not readily accessible from a TH and a small hike into the park must be done before reaching the beginning of the Bluff Trail. There are several starting points that one can use, but for the purpose of this hike description I chose, what I believe to be the nearest TH. Starting from the Wagner Trailhead follow the Wagner Trail as it loops north and then west around McDowell Park campground. At about 1.1 miles the Wagner ends when it connects to the Granite Trail. Take the Granite Trail about 0.3 miles south to reach the beginning of the Bluff Trail. All the trails are well signed, so there should be minimal trouble reaching your desired destination - in this case, Bluff Trail. 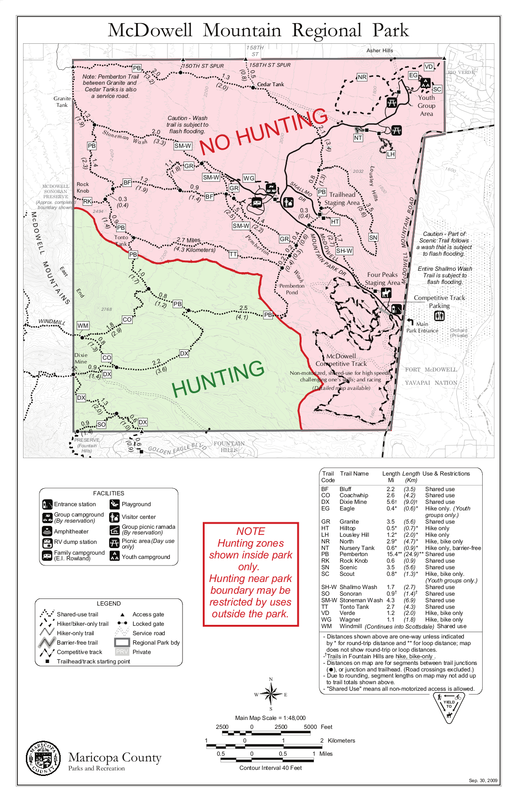 (Still be sure to grab a trail map upon entering the park so you'll be able to view all of your options when you hike). The Bluff Trail starts approximately 1.45 miles into your hike. I reset my Garmin so that distance/descriptions would be consistent with the start of the Bluff Trail. It immediately descends into an expansive wash heading in a west northwest direction. At .13 miles it intersects with the Stoneman Wash Trail. At this point, directly in front, you can see why this trail got its name. The western edge of the wash is lined with a rocky bluff. (The Bluff Trail will parallel this wash for most of this hike and for a majority of the time the upper 5-10 ft. Of the rim of the wash is characterized by this rocky bluff feature. This is very distinct compared to the rest of the nearby landscape). The trail climbs out of this wash and almost immediately offers you a bench to rest and admire the bluffs and the surrounding views. This is a very flat trail, so this might be the biggest "climb" of the hike. At just under a mile the trail intersects with the Granite Trail. As you continue north and west you'll start to see the landscape change with the addition of large boulders dotting the landscape. Similar to what you see around the Tom Thumb TH. At just over 2 miles you come to small hill (more of a mound than a hill) that you can climb. There is a bench atop. From there you can admire the views and look down and see the end of the trail just a few yards away. This is the high point of the trail giving you about a 200 foot elevation gain for the extant of the hike. You have options at this point. You can return the way you came for about a 6.5 mile hike. 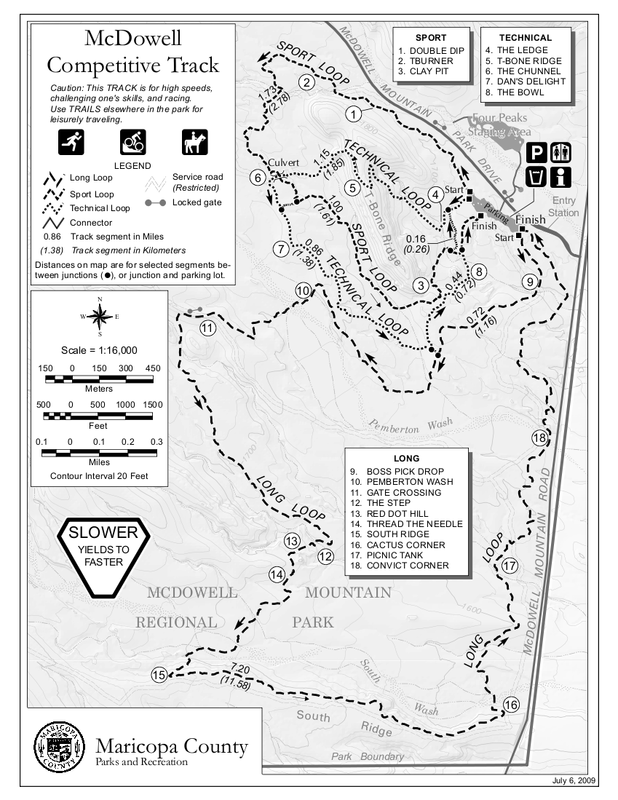 Or you make a loop of your hike by incorporating one of the many other trails that connect to the Bluff Trail. This is where having a park map comes in handy. In my mind, this is more of a convenience trail than a destination trail. It's great for manufacturing loops with other trails, but is not a must do trail. The bluffs are unique for the area, but I wouldn't call them memorable. Besides for the wash, the nearby landscape is flat or low lying, rolling hills peppered with cholla, brittle brush, palo verde, jojoba, saguaro and eventually as you head north boulders. The trail is great for running and mountain biking. Water Sources: There are no water sources at the Wagner Trailhead. Camping: There is "RV camping" in this area. (Not that most HAZ'rs would consider motor homes camping). You will actually have to transverse around this RV site via the Wagner Trail on your way to the Bluff Trail. From Shea Blvd take Fountain Hills Blvd if coming from the West, Saguaro if from the East, to McDowell Mtn. Road. The road heads North away from Fountain Hills. Turn left at the entrance to McDowell Mountain Park. There is an entry fee. Just past the visitor center turn left on Thoms Thumb Dr. Parking will be on the left, just prior to the campground entrance.